I like the polka dot doggies. LUCKY LEOPARD is so cute! I love the lucky leopard! My daughter would love to have Berry Sweet! My daughter likes the ABIGAIL doll. DENIM & DAISIES reminds me of my niece! KEWPIE KAT’S MEOW is simply adorable! I daughter would love the CLASSIC 200TH ANNIVERSARY SNOW WHITE doll! 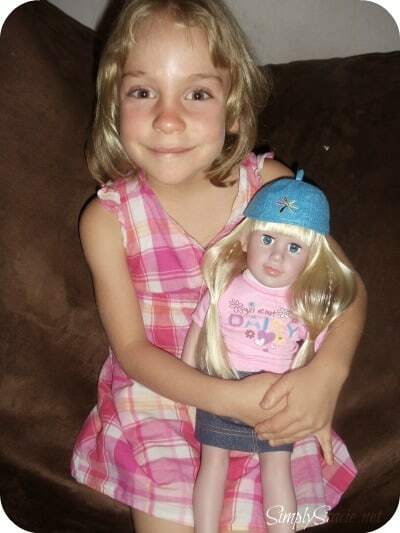 I think my granddaughter would absolutely LOVE the “RING AROUND THE POSIES” Adora doll…and if not, I sure would! I might have just turned 46 yesterday but I am still a little girl when it comes to lovely dolls like these! 😉 What a gorgeous doll! I like the lucky leopard doll. ABIGAIL – READY FOR FUN -18″ DOLL & OUTFIT. Just showed my daughter the site and she picked ADORA BELLE – GLINDA. My girls would love the GLINDA- 18″ DOLL & COSTUME! There’s so many to choose from. I loved Winter Wonderland and Workout Chic. The Abigail Ready for Fun Doll was really cute too. Thanks for the awesome giveaway! I think the ZEBRA ROSE doll is so cute! My granddaughter would really like Kewpie Froggy Fun. So cute! I like the Dorothy The Wizard of Oz doll. I would love one of the boy dolls for my sons. My Hero is adorable! They are all so cute, but, I really like the DENIM & WHITE doll. I love the Giggles and Growls doll. My daughter would love the choloe doll! All of the Adora dolls are really sweet! I particularly like Lucky Leopard … but I’ll have to wait until my daughter gets a bit older, to find out her favorite. My daughter likes LOVE BUG. 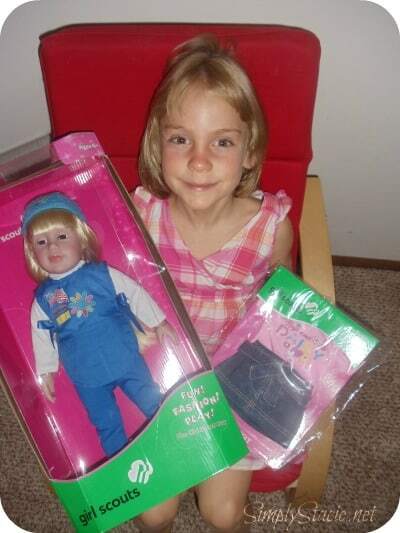 My niece would love the Abigail girl scout doll.